Backcountry skiing has taken the ski world by storm ever since it took off in popularity a number of years ago. The smooth un-tracked powder, rocky terrain, and new challenges at every turn create an experience unlike any other in the world of skiing. And as the years go on, more and more opportunities for backcountry skiing and backcountry snowboarding have presented themselves. But with new rewards and challenges come inherent risks and dangers. And we’re serious when we say danger, because 20-40 people each year die in an avalanche, and setting off an avalanche in the backcountry is surprisingly and scarily easy. The good news is that we’re not trying to scare you away from those untouched lines, but rather to prepare you to ride with some basics about backcountry skiing safety. Here we will run through some things you show know before venturing out there. For a checklist of backcountry skiing safety, check out our article here to make sure you have everything before you go. Since the dawn of backcountry skiing, there has been gear that is more adept at maneuvering the tough terrain. But more recently gear has come out specifically to accommodate those conditions. First off, we highly recommend getting yourself a pair of wide backcountry powder skis and some boots to hike in. While these are not required pieces of equipment, they will help you float on powder and hike up hills. But more importantly, let’s talk about safety gear. 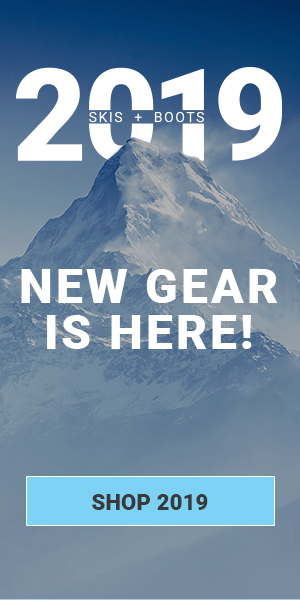 Backcountry gear comes in 6 main varieties. First is the snow shovel, which is critical in digging out people who get stuck in an avalanche and for rescue situations. Some are small and plastic while others are larger and metal. The aluminum shovels will have an easier time digging through harder debris but are a bit heavier. Beacons are a critical piece of gear. For those of you who don’t know what an avalanche beacon is, it’s a device that sends out a signal that rescuers can use to find you if you do get buried in an avalanche. This item is well worth the investment. And a probe is another crucial item for search and rescue, as they allow you to fine tune your search to determine where to dig, which can save lives. Beyond these items, there are lots of extra things you can pick up to assist in your backcountry adventure and keep yourself safe. Airbags come in the form of backpacks that can inflate to protect you in a snow slide, and avalungs give you extra air time for breathing if you’re ever unlucky enough to be buried under snow. There are a few common mistakes that skiers and snowboarders often make in the backcountry, and some of these can be fatal, while others are just good ideas to avoid if you can. First and foremost, trust your gut. This might sound super straight forward, but I’m always surprised at how often I consider taking a line or following others just because there are tracks already in the snow or someone tries to convince me it’s a good idea. If you think you’re in over your head or something’s wrong, back off and trust yourself. Take your time. Many people rush into situations on the mountains without a ton of forethought for a number of reasons, such as being way too excited to hit that fresh line. Take a deep breath and consider if this line is at your level of expertise, or if there are any signs of danger such as recent slides of snow in areas or piles from avalanches that have already occurred. Don’t be afraid to run a couple tests in the snow to make sure it’s stable and not going to engulf you. Not preparing before you go. Some people think this just means taking a minute to pick where you’re going and pack your stuff, but it’s more than that. Being prepared for the backcountry means picking your route through research, learning about what the conditions are when you’re going and what they can look like in extreme conditions, calling or checking your local avalanche warning center to see what the risks are, and making sure you’re in top physical and mental condition to take on this challenge with as much backcountry skiing info as possible. In general, we always suggest not taking on the backcountry alone. But if you’re considering a solo trip, a group trip, or even just want to learn more before you make a final decision on going into the backcountry and need a full introduction to backcountry skiing and safety, we recommend taking an avalanche course. A course is going to be the best way to not only learn but experience and practice what you need to know. Check your local warning center or mountain to see where there are courses available. If you want a sneak peak of what you will learn and what they cover, check out our blog Backcountry Safety Avalanche Course Level 1 – Opening a new world of terrain. All in all, do your research and learn the safety factors inside and out before you go. Take some courses. Look stuff up. Be prepared, or be willing to risk your life.